• If you feel tired or dizzy, or are prone to losing your balance, stay off the ladder. • Do not use ladders in high winds or storms. • Wear clean slip-resistant shoes. Shoes with leather soles are not appropriate for ladder use since they are not considered sufficiently slip-resistant. • Before using a ladder, inspect it to confirm it is in good working condition. • Ladders with loose or missing parts must be rejected. • Rickety ladders that sway or lean to the side must be rejected. • The ladder you select must be the right size for the job. • The Duty Rating of the ladder must be greater that the total weight of the climber, tools, supplies, and other objects placed upon the ladder. • The length of the ladder must be sufficient so that the climber does not have to stand on the top rung or step. 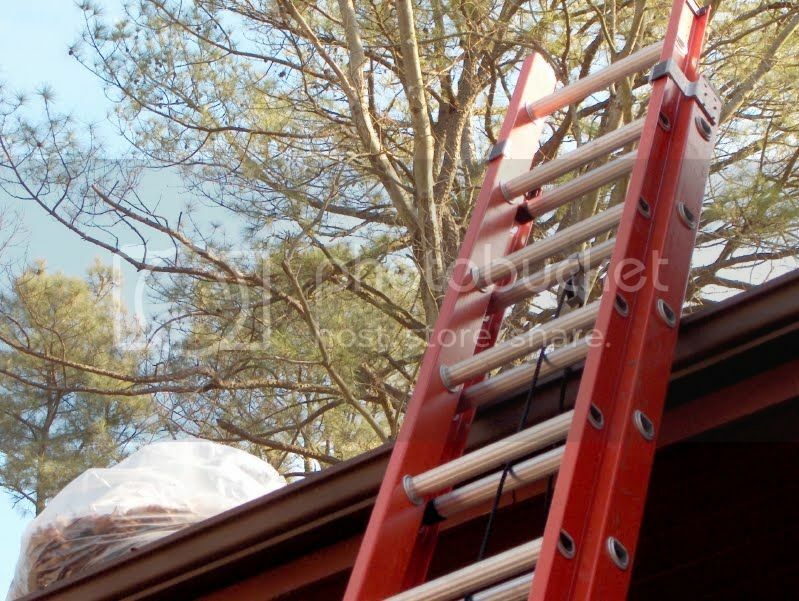 • When the ladder is set-up for use, it must be placed on firm level ground and without any type of slippery condition present at either the base or top support points. • Only one person at a time is permitted on a ladder unless the ladder is specifically designed for more than one climber (such as a Trestle Ladder). • Ladders must not be placed in front of closed doors that can open toward the ladder. The door must be blocked open, locked, or guarded. • Read the safety information labels on the ladder. • Never jump or slide down from a ladder or climb more than one rung/step at a time. This entry was posted on Thursday, October 4th, 2012	at 9:50 am	. You can follow any responses to this entry through the RSS 2.0	feed. Both comments and pings are currently closed.